As a Partner in Calfee’s Corporate and Capital Markets practice, Terry Doyle’s practice focuses on counseling public and privately held clients and private equity firms and their portfolio companies with respect to transactional matters, including mergers and acquisitions, equity financings, leveraged buyout transactions, and general corporate counseling in a wide range of industries. A significant portion of Terry’s practice includes counseling public company clients regarding their ongoing reporting requirements, corporate governance matters, and various other matters affecting public companies and their officers and directors. The private equity funds with which Terry has worked include Linsalata Capital Partners, Evolution Capital Partners, CapitalWorks, and MCM Capital Partners. Terry also has worked on a variety of mergers and acquisitions transactions and corporate governance matters with public companies such as RPM International, The J. M. Smucker Company, Invacare Corporation, and Chart Industries. 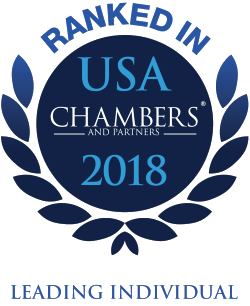 Terry is recognized for his work in Corporate/M&A by Chambers USA: America’s Leading Lawyers for Business, an industry-leading legal resource for professionals in search of qualified, experienced legal counsel. Terry was first named to the Ohio Rising Stars list by Ohio Super Lawyers in 2013 and is now routinely named to Ohio Super Lawyers list, most recently in 2019. Terry joined Calfee in 2008. Linsalata Capital Partners and its portfolio companies in numerous transactions including its acquisition of Excell, a premier food service equipment and supplies marketing and procurement group; its acquisition of Glynlyon, a leading national provider of technology-enabled secular and faith-based education curriculum; its acquisition of Happy Floors, a leading designer, importer and distributor of premium Italian and Spanish porcelain tile products; its sale of Home Decor, a distributor of wall decor, lamps, decorative pillows, accent furniture and accessories; and its sale of Stag-Parkway, an aftermarket distributor of recreational vehicle parts and accessories. RPM International (NYSE: RPM) and its subsidiaries in numerous transactions including the acquisition of Kirker Enterprises, a developer and manufacturer of innovative nail products; Synta, a manufacturer of deck restoration products; Expanko Resilient Flooring, a manufacturer of high performance floors for commercial environments; Chemtron International, a manufacturer of adhesives, sealants and tapes; and Specialty Polymer Coatings, a manufacturer of epoxy and polyurethane coatings. Evolution Capital Partners and its portfolio companies in several transactions including acquisitions of Monolith Software, Heavy Equipment Colleges, ROI Networks, Knowledge Center, Cascade Healthcare Services, Axiom Sales Force Development, Budco Financial and Lewellyn Technologies. Invacare Corporation (NYSE: IVC) in its recent sale of certain of its subsidiaries, including the sale of stock of a subsidiary to a privately held strategic competitor for $150 million where the buyer was being sold to a Fortune 100 competitor. ExactCare Pharmacy, LLC in its sale of substantial minority equity interest to a private equity investor; and two years later, a subsequent “upsized” recapitalization to take out the initial private equity investor; and sale of additional equity interests to Nautic Partners, a larger private equity investor. CapitalWorks and its portfolio companies in numerous transactions, including its acquisition of Bancsource, a manufacturer of financial equipment. Cleveland Thermal Holdings LLC in the sale of its membership interests of Cleveland Thermal LLC, which owned and operated the district heating and cooling systems in downtown Cleveland, Ohio, that provided both steam for heating and chilled water for cooling to numerous customers. Lexi-Comp, Inc., a developer of clinical information software solutions, in its sale to Wolters Kluwer Health, Inc.